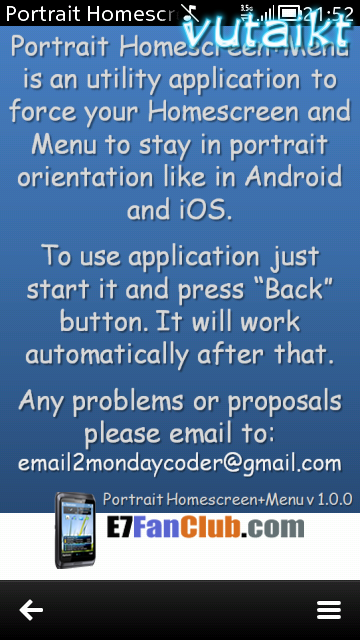 “Portrait Homescreen on Menu” application fixes Symbian most annoying feature. It forces Homescreen and Menu screen to portrait mode like in Android and iOS but at the same time keeps screen automatic rotation on in all other apps. And all is done automatically! No more need to tap any icons or go to deep in system menus!